I also made my first trip into Denali yesterday. It was as beautiful as I remember it. I'll share three pictures here. 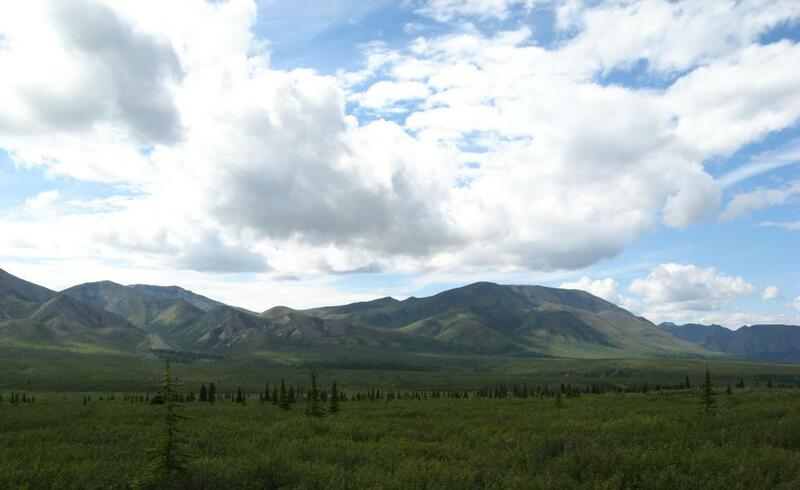 The first picture is from the Parks Highway driving up to Denali. I like it because it shows the fireweed growing on the side of the road and the mountain range in the distance. The second picture shows another mountain range that you follow for a while. 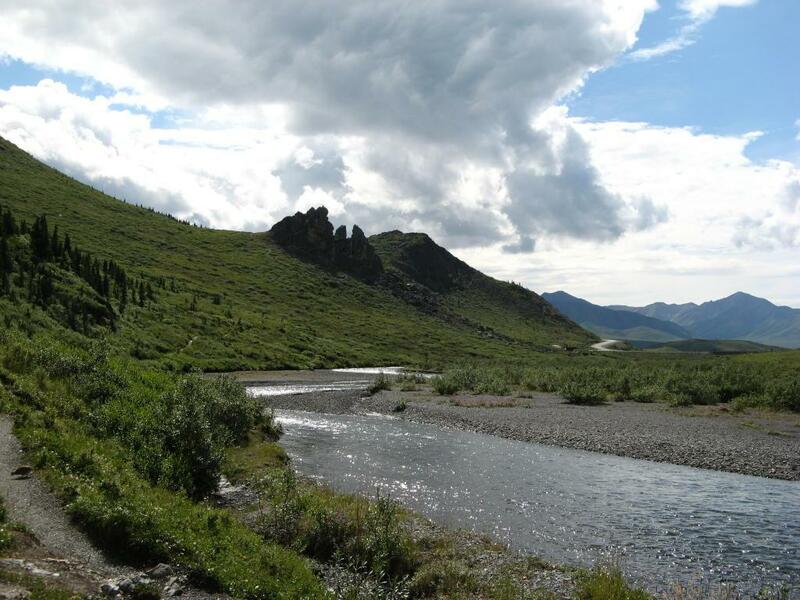 The last picture shows an area along a creek inside Denali where I stopped and ate lunch. 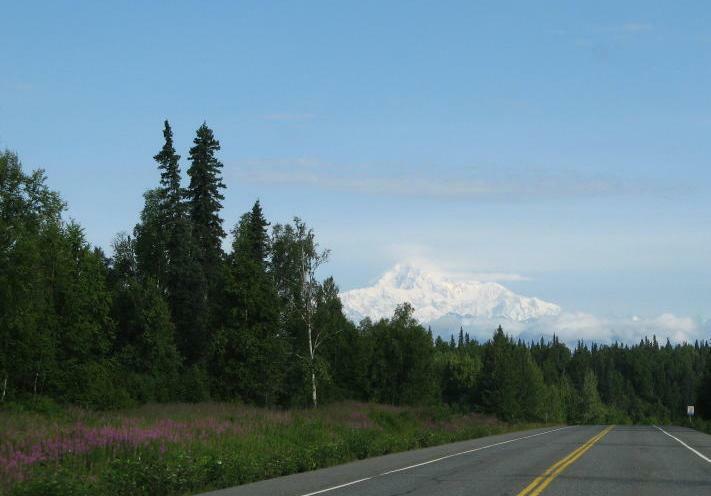 This area is off of mile 15, the farthest you can drive in to Denali in your own car (unless you have a super-special permit). I was lucky to find a parking spot, and then walked along the creek for about a mile-and-a-half before sitting on a big boulder and eating lunch.